Corona Del Mar Painting Company is a professional full service high end interior / exterior painting & wood finishing company servicing clientele along the coast from Orange County to Los Angeles. Our team of experts are trained to be more then journeymen level painters they are craftsmen improving their skills as each year reveals new problems to solve in the chemical world of paint. Corona Del Mar Painting's material knowledge extend to every architectural and industrial coating system. Corona Del Mar Painting employees are involved in consistent training of workmanship, safety and equipment. Corona Del Mar Painting is fully insured recommending only the finest products, applications and using skilled painters that will create beautiful durable coatings for your home or space. 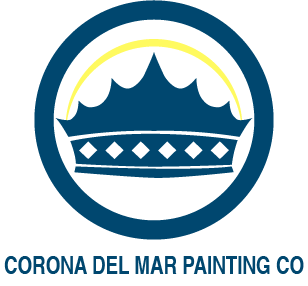 Thank you for requesting a painting bid from Corona Del Mar Painting Co. You will find our estimates are detailed and include materials, surface prep, paint application method, special requests, etc. How Did You Find Us (example: neighbor, google, local paint store, social media, etc. PROJECT TYPE (not required) New Construction - Interior Painting New Construction - Exterior Painting New Construction - Interior Stain Finishing New Construction - Exterior Stain Finishing Re-Paint Home Interior Re-Paint Home Exterior Re-Paint Historical Home Interior Re-Paint Historical Home Exterior Re-Paint Micelaneous Piece Items ( Example: Entry door, bathroom vanity cabinet re-stain and re-finish, etc. Faux Finishing Plaster ( authentic italian ) ( metallic ) (multi color) etc.